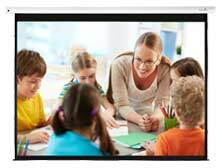 In the last 2 years laser projectors have made a significant impact on the projector market. The brightness now being achieved from laser makes these suitable for large image projection. No lamp maintenance/costs, long operating hours together with vivid & consistent colours are just a few of the benefits now available to lecture theatre, auditorium, museums and other professional users. The Laser projectors in this category have a brightness level of 6000 ansi lumens or brighter. If you are looking for laser projectors with less than 6000 ansi lumens which are more suited to smaller environments then check out our Laser office projector category. Inc Standard lens (1.6 - 2.8:1), 24/7 usage and a 3 year warranty. Superb all round laser installation grade projector. Inc standard zoom lens. Inc Standard lens (1.6 - 2.8:1) and 24/7 x 5 year warranty. 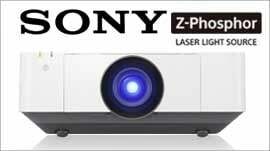 Includes standard zoom lens (1.39-2.23:1) and a 5 year projector warranty.